Loc8 is the Asset Maintenance and Job Management platform providing State Governments with a comprehensive solution for their infrastructure asset lifecycle management, budgeting and reporting requirements. Loc8 has worked extensively and closely with multiple State Government agencies and our experience in the Government sector has allowed us to develop a tailored solution suitable to the numerous requirements of the industry. Loc8 can be easily implemented in government agencies where multiple organisations and business units need to collaborate and share data in real time. Advanced Asset Lifecycle Management features, combined with comprehensive job management and Intelligent Budgeting and Reporting capabilities ensure that Loc8 provides all of the necessary functionality for the efficient management of government asset management requirements. Loc8’s comprehensive public and custom API functionality provides the option to integrate with other business critical systems such as your ERP, financial and GIS mapping platforms. Data can be shared as required and business process can be streamlined, with the correct data in the most appropriate system. By utilising Loc8’s comprehensive planned maintenance functionality you can ensure that infrastructures such as roads, bridges, tunnels and buildings along with their associated assets are maintained to the highest level. Loc8 also allows you to minimise the chance of breakdowns and unexpected repairs, which can often end up blowing a maintenance budget. 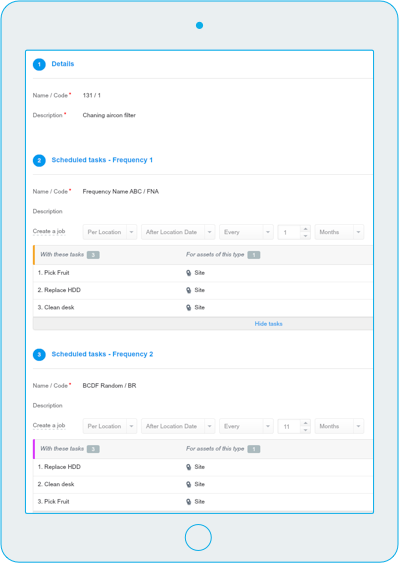 Loc8’s Budgeting feature enables users to automatically create budgets for costs of maintenance across regions, locations, asset classes and work types. Users can easily identify if the cost will exceed the available budget and run data models to produce scenarios that will reduce costs in order to meet the identified budget. Loc8’s asset lifecycle management features have been developed in partnership with multiple Government Organisations. The module enables configurable asset lifecycle management allowing clear decision making around the lifecycle of assets based on risk, condition, age, value, statutory compliance, critical infrastructure assignment, renewal status, available budget or custom lifecycle data points. 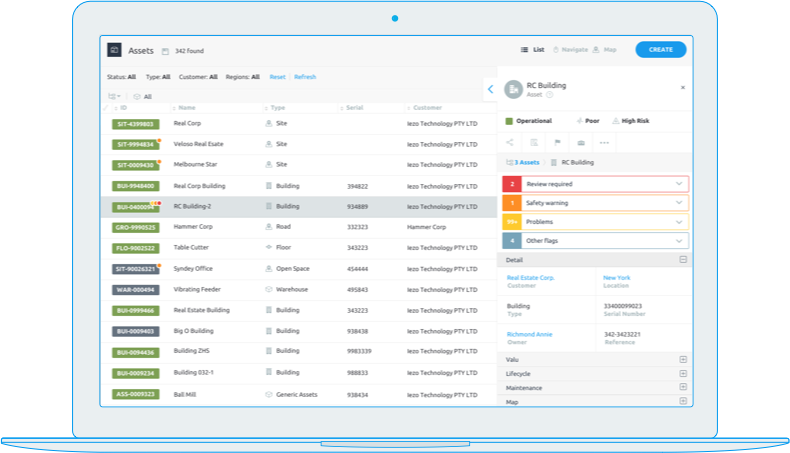 Through the lifecycle configuration and system rules configured by the user, assets can be updated, notifications sent and work-order inspections or activities created. 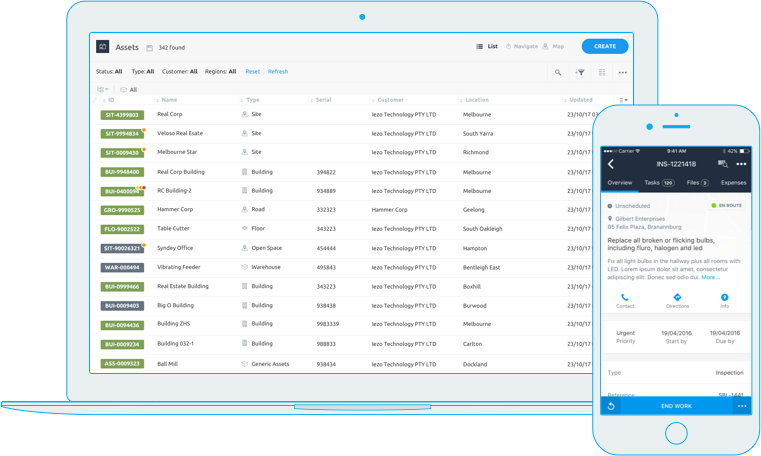 This provides the ability to operate, review and extend the life or replace assets in a continuous, automated and easy to track process. 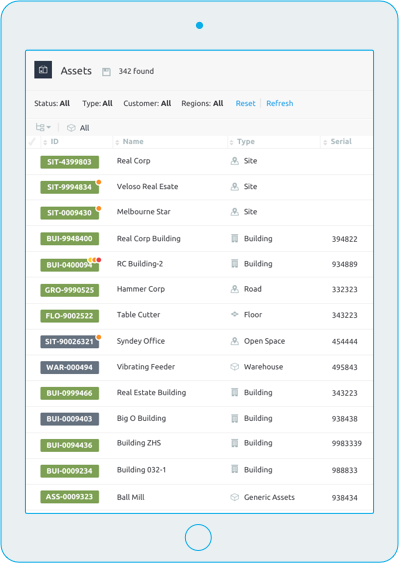 Loc8 users have access to existing integrations with ESRI GIS mapping features, providing enhanced functionality across State Infrastructure Assets. Assets such as roads, tunnels, rail tracks, bridges, footpaths, parks, amenities and buildings can be marked geographically using polygons and other markings. Attachments such as images, contracts, maps, 3D drawings and any file types can also be linked to each asset. This functional area is integrated closely with Loc8’s Asset Lifecycle Management, Maintenance, Jobs and Budget Management features to provide an intuitive and easy to use system which improves visibility and reporting across all levels of a State Governments Asset Management requirements. How does Loc8 integrate with other systems? Loc8 uses JSON and REST based API functionality to provide public and custom API based system integrations. Can I store files and data in Loc8? Yes, Loc8 provides the functionality to upload any file type and associate it with an asset. There is no limit to the number of files or data you can upload. What type of asset management hierarchies does Loc8 support? Multiple. From standard parent/child to linear and point to point.